Manager Frank Lampard says Derby will have a great chance of making the play-offs if the keep up the standards set in their 4-0 win over Bolton Wanderers. 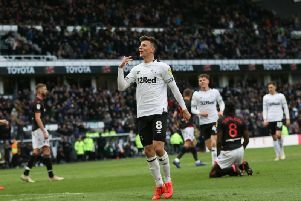 Craig Bryson’s goal in the 37th minute put the Rams on course for all three points before Mason Mount stole the show with his first hat-trick in English football. And the Rams are now targeting back to back wins over the busy Easter period, starting with Birmingham City on Good Friday, as they look to close the gap on Bristol City. “There are more twists than just one coming up,” Lampard told RamsTC. “There are too many games, the Championship throws up too many results and we are all looking at our run-ins. “What we must believe is that if we perform like we did against, if we can get the results that performances like that brings, then we have a great chance. 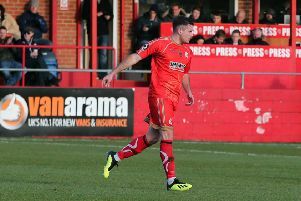 “We have a great chance of the play-offs and at the start of the season, we would definitely have been happy with that with the way last summer went so we must keep fighting. “Birmingham away will be a tough game. They are a team that have performed pretty well this year under difficult circumstances. They are physical, organised but the stakes are high for us now and it’s massive. We really need to attack those two games. “We are playing well in our home games particularly and we have to continue that. Lampard also knows Derby must show the same cutting edge that was in evidence in the weekend win over Bolton. He added: “We were expected to win this game with Bolton’s position but you still have to do it. Once the deadlock was broken and we went 1-0 up, my only disappointment of the day is that we didn’t score seven, eight or nine because we had enough chances to do that.